Commonly known as “Russian” trade beads. Beads were widely and used among the Alaska Native peoples. Lieutenant George Thornton Emmons, U.S.N., was station in Alaska during the 1880s and 1890s, a time when the Navy was largely responsible for law and stability in the Territory. 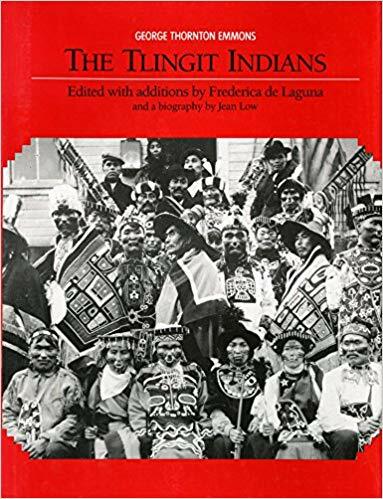 His duties brought him into close contact with the Tlingit Indians, whose respect he won and from whom he gained an understanding of and respect for their culture. He became a friend of many Tlingit leaders, visited their homes, traveled in their canoes when on leave, purchased native artifacts, and recorded native traditions. In addition to an interest in native manufacturing and in the more spectacular aspects of native life - such as bear hunting, Chilkat blankets, feuds, and the potlatch - Emmons showed the ethnographer’s devotion to recording all aspects of the culture together with the Tlingit terms, and came to understand Tlingit beliefs and values better than did any of his nonnative contemporaries. He was widely recognized for his extensive collections of Tlingit artifacts and art, and for the detailed notes that accompanied them.